Mi Bluetooth Speaker provides excellent sound quality and supports multiple music playback modes. Compatible with smartphones, tablets, televisions, laptops and more. Elegantly designed and full of power, it's the perfect way to enjoy the music wherever you go. 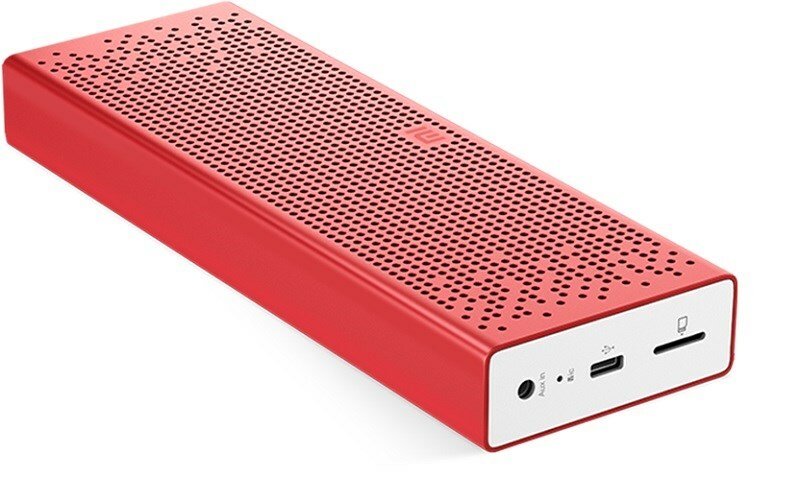 Lightweight and compact, the Mi Bluetooth wireless speaker weighs only 270 g and can be used for up to 8 hours on a full charge. It's a lot of reproduction for trips, dance practices and more. Free your hands, take calls with hands-free support and a built-in microphone. My Bluetooth speaker pauses music playback when I receive calls. Simply press the play button to switch to hands-free mode.